This is the simplest of games created for Pastel Jam 18 in Processing. Move the rabbit with the mouse & collect the carrots. Avoid the fox. 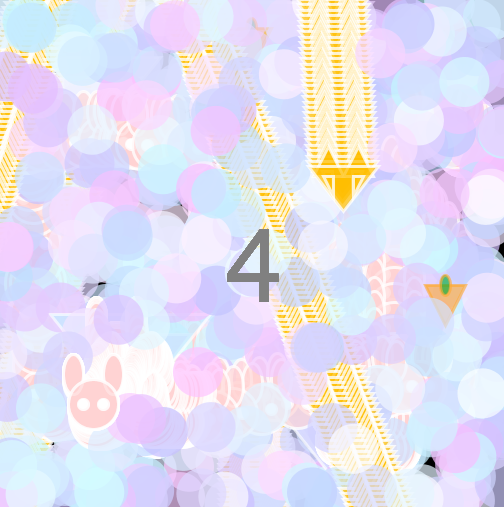 Click the mouse on the "Game over rabbit" screen. I wanted to use the opportunity to get back into coding in Processing with a simple idea. I had some problems converting the game into a browser version, so I've uploaded the Processing source code. However you can play it in the browser here. For such a simple game this was surprisingly compulsive and really rewarded repeated play. I really like the effect of piling tons of stuff onto the screen. Make me also want to get back into processing.